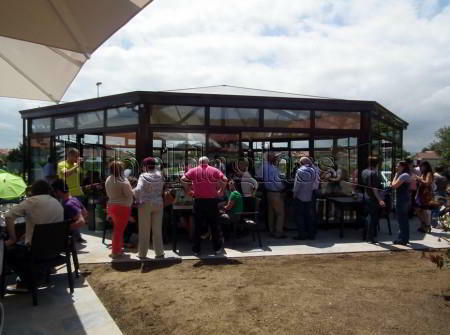 When it is about divide, separate or making the distribution of interior areas, as it is about exterior façade enclosures that we need to move away at any time, the SF-40 HSW Beldaglass system is the ideal solution, even more if they are cafes and restaurants establishments. 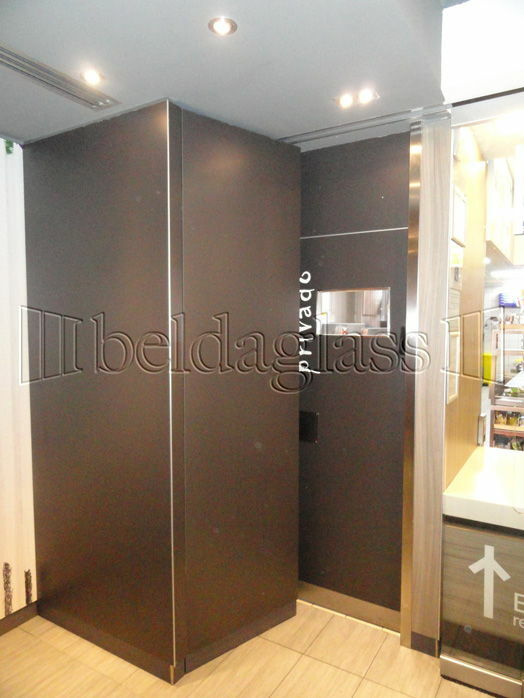 The SF-40 is completely free for the unimpeded transit of people because it does not have any kind of floor rail. 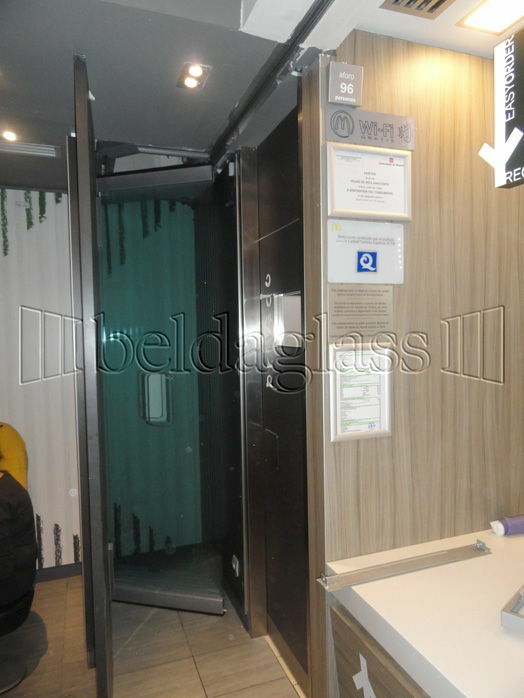 Besides, this kind of system does not need any maintenance since the lack of floor rail it has not dirt or objects that can enter in the rail which can produces breakdowns. 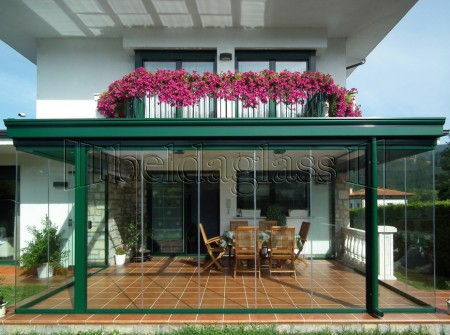 The system has very few limitations in terms of size as can be up to 4.50 Mts. 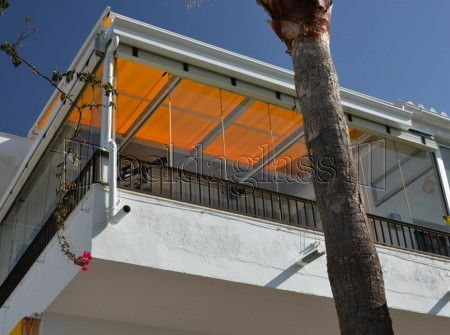 height and supports a glass tempered load up to 160 Kgs and may be used 12 mm glass tempered. 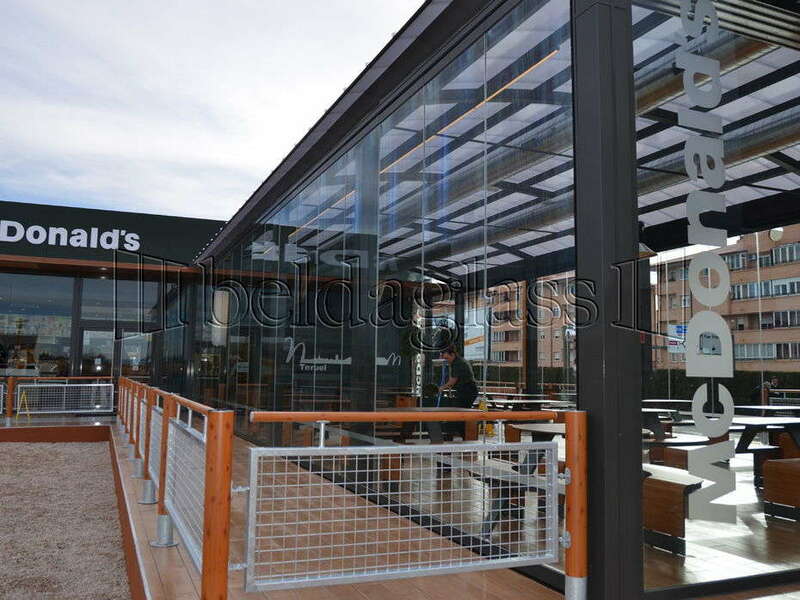 This system has been chosen by McDonald´s company for 24-hour restaurants project. 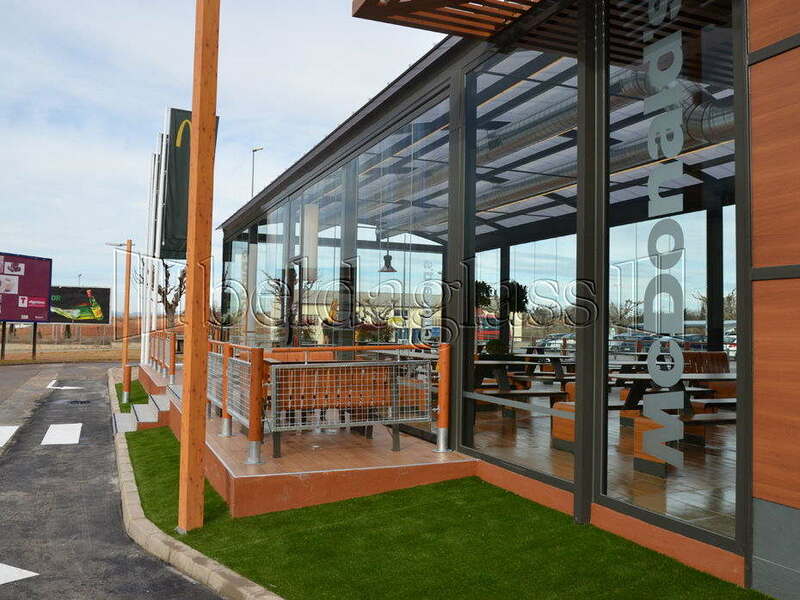 This service that was being offered at restaurants with McAuto, could not be offered however in restaurants that do not have McAuto, because the condition for opening 24 hours that the restaurant is closed and only sells takeaway. 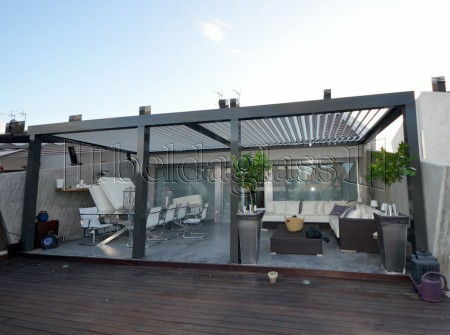 It has also been incorporated into the terraces of some restaurants remaining closed when the cold and wind make it necessary and move away once the weather is favorable, so customers enjoy the main attraction of the restaurant at any time of year. 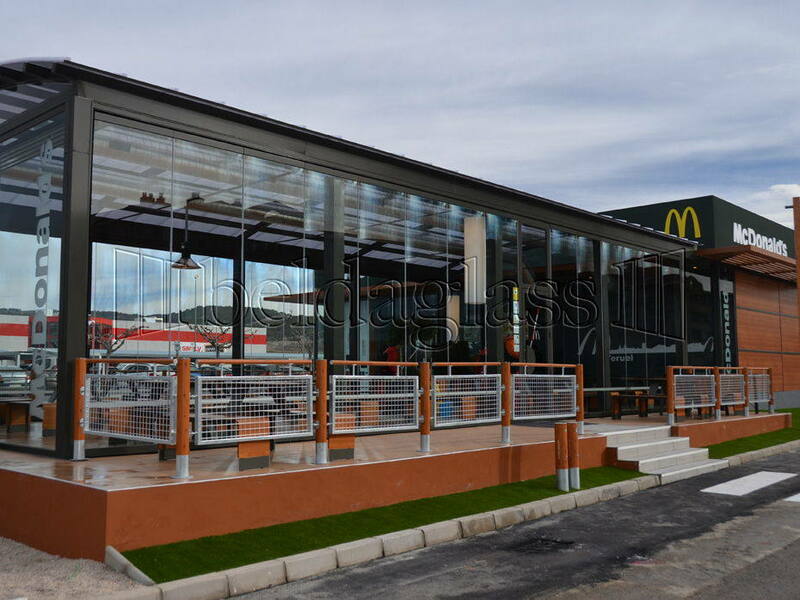 This versatile system that had already incorporated shopping malls like “Muelle Uno de Málaga”, on the facades of local exterior or the Llaollao gelato, it is an honor for our company that leading foodservice worldwide companies as McDonald’s have chosen us as partners to solve their needs for exterior enclosures and compartmentalization of the spaces, and that companies count on us for advice on their local enclosures.